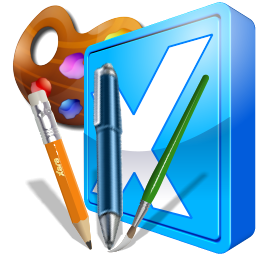 Xara Photo & Graphic Designer 15.0.0.52382 (x64) Portable ~ Apps2Portable | Free Portable Apps for PC ! It allows you to make amazing things with photos, includes really intuitive vector drawing tools and advanced text handling, all in one seamlessly integrated environment. Xara Photo & Graphic Designer photo handling beats other graphics programs on many fronts. It’s much, much faster, produces smaller files and it’s non-destructive. It makes the perfect photo composition tool. Xara Photo & Graphic Designer is also unique in the way it handles and stores photos, which means that files containing photos can be anywhere from 3 to 100 times smaller than with other programs. The Content Catalog also includes almost 30 ready-made photo filter pre-sets that you can simply drop on your photo to create popular effects and moods such as 'summer', 'vintage' and 'exposed'. See some examples. Like any word processing program you have full control over the text styles, including font (with 600+ integrated Google fonts, and 1500+ Font Awesome / Google Material Design icons & symbols), color, justification, line spacing and kerning etc.